When it comes to introducing rhythm to my kindergarteners, I am of the philosophy of waiting until they’ve already had conversations about syllables with their classroom teacher. 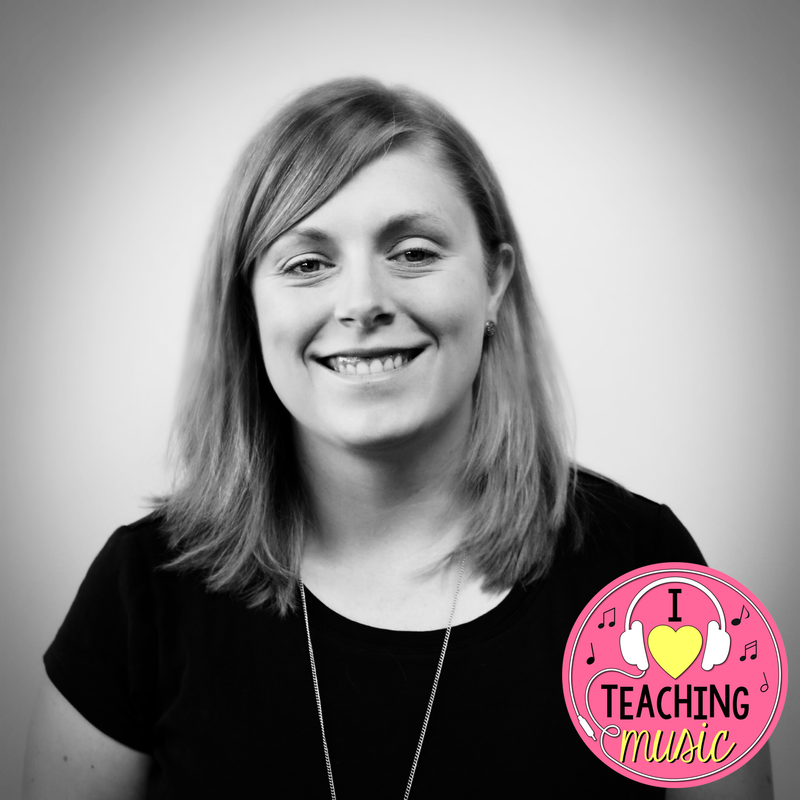 When I was a new teacher, I found that introducing rhythm at the beginning of the year (alongside introducing steady beat) was a challenge for many of my students. Not only did they have a hard time grasping how words/syllables influence rhythmic patterns, they often got beat and rhythm mixed up as both concepts were new to them. Somewhere along the line, I decided to hold off on teaching my kids about rhythm. I started to realize that my students did much better if I waited until second semester (usually the end of February) as this gave them more time to be secure in their grasp of the steady beat. I also found that my students were able to relate to rhythm and using syllables to break it down once their classroom teachers had started this conversation in relation to reading/literacy. When my students are ready to tackle this new concept, I choose to use themed groups of “everyday words.” Using everyday words lets the students focus solely on the rhythm as they’re already comfortable with the word itself. Using sight words/snap words also supports their budding literacy skills. We start with a few lessons using the rhythms of color words and then move onto the rhythms of animal names. 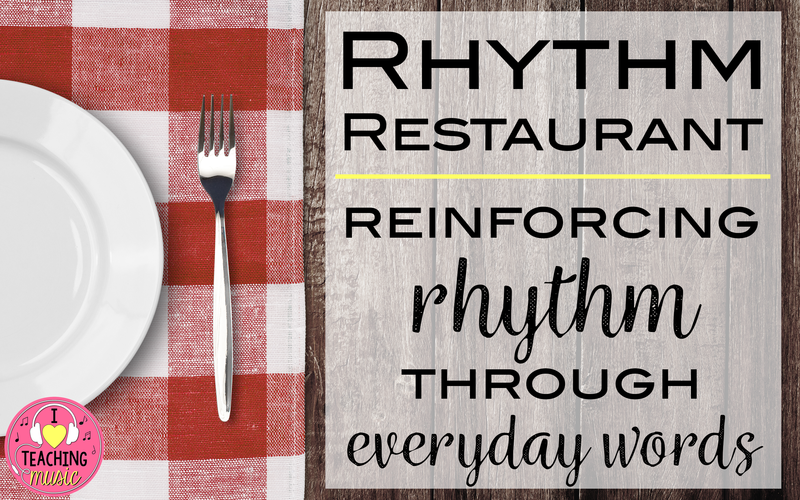 Once the class has had several whole-group teacher-led experiences, I know they’re ready to do some small group work in the Rhythm Restaurant. Oh no! The chefs at the Rhythm Restaurant need your help! All of their food orders have gotten mixed up and they don’t know what to do. Can you help them sort the foods into two piles? Sort the foods into a pile of one syllable words and a pile of two syllable words. Click on images to view in larger detail. I use this set of lessons with both my kindergarteners in March/April as well as a review for my 1st graders in the fall of the following year. In kindergarten, we focus on identifying & sorting the number of syllables in each word. After doing a short demo, I split the class into groups of 3-4 students. Each group is handed two plates (labeled with a 1 and 2), and a baggie full of food cards (a few are pictured). The students take turns in their groups selecting a card, clapping the rhythm of the word, and then sorting it onto the correct plate. When they get through all of the cards (there are quite a few cards to go through), they raise their hand to have me check their work. If there are any cards that have been incorrectly sorted, we process through to see if it was a true mistake or if they were calling the food by the wrong name. I then challenge them to mix up the cards and repeat the activity, but this time faster (and more accurate, if they struggled with that before). This activity will take a whole 30-minute class (demo, passing out supplies, time to work, clean-up). In 1st grade, the focus shifts to connecting the number of syllables to the stick notation associated with it. Students are broken into groups (just like in kindergarten), but their plates have the stick notation for a quarter note and a pair of eighth notes on them. 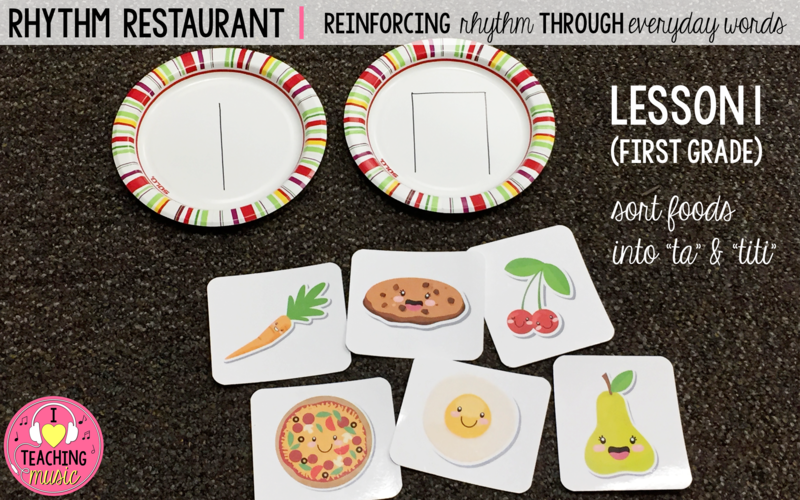 In Lesson 2, I set out four blank plates to represent four beats. 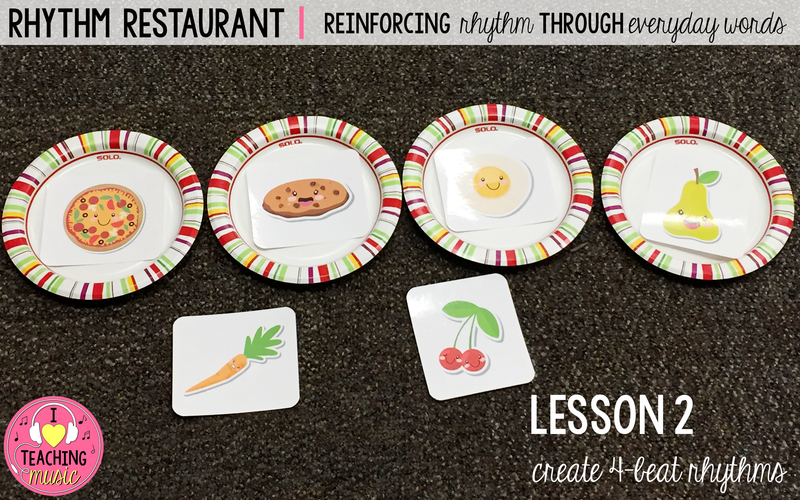 I demo creating a 4-beat rhythm by placing one food card on each plate. Students get back into their groups and take turns creating 4-beat rhythms. They then clap each others rhythms all together. In first grade, I differentiate by letting the students leave one or two plates empty to signify quarter rests in their patterns. 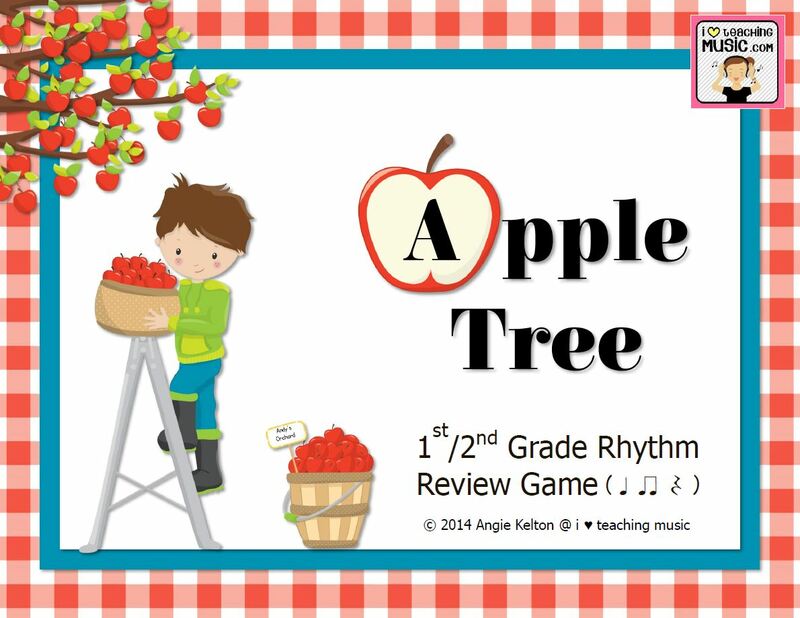 After completing Lesson 2, my kindergarteners will move on to other rhythm lessons. When we review these lessons at the beginning of 1st grade, however, we’ll continue onto new material in Lessons 3 & 4. In Lesson 3, the students compose a 4 beat pattern on paper. They think of 3-4 of their favorite food items, write them down and then add the appropriate stick notation. I encourage them to think of alternate foods we have not seen on the food cards, providing that they still have only 1-2 syllables. Lesson 4 is one of the few paper/pencil assessments I do with 1st grade. I have them match foods to their correct rhythm, and then write in the notation for a few 4-beat rhythms. By the end of this mini unit, my students are typically solid in their rhythm review and ready to move onto new things. I recommend printing your food cards on card stock and laminating them so that they last longer. *I plan on creating a set of cards/worksheets for my TpT store at some point in the future. (I need to find the right clipart set with commercial use rights.) If you’d like to purchase the clipart pictured in this post, you can find them here: 1, 2, 3, 4, 5. 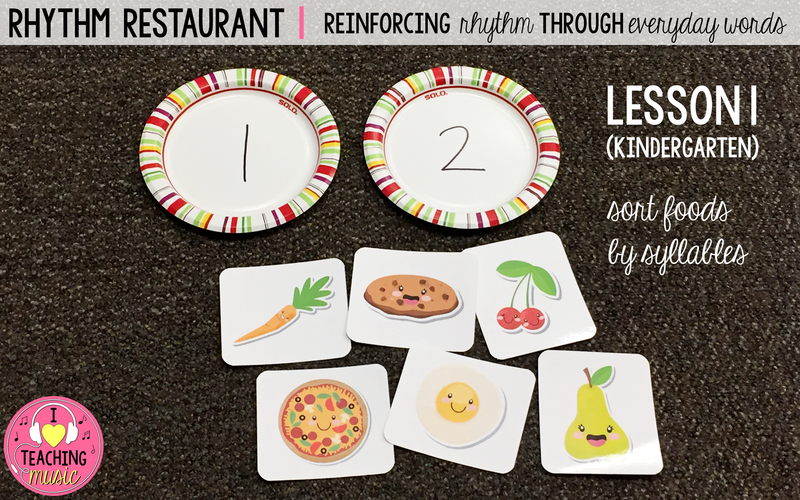 I LOVE the idea of using plates as beats for rhythm composition! What a great idea. And I totally agree, I wait until spring to introduce rhythm to kindergarten students. It definitely helps when they have some understanding of syllables!